We’re overhauling ReadyShip to turn it into a marketplace. It’s scheduled for a late June launch. We’ve considered how we can best serve our developers, and decided that what’s most important is helping them to attract more customers. However, we don’t want to stop there. Isn’t there more we can do make your products themselves more marketable? ReadyShip currently offers its service in the form of a simple tool. 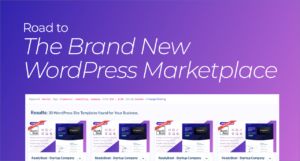 With no up-front investment, only a monthly fee, our service enables developers to immediately turn their completed WordPress site into a business. Specifically, we offer a sales platform, as well as hosting and cloning of WordPress sites, to WordPress developers. Maybe I should say it’s kinda like PayPal. However, after considering the feedback of our registered users following our small-scale release in April, I’ve decided that, as of ReadyShip Version 2, we’re going to transform ReadyShip into a marketplace. Today, I’d like to explain my reasons for this. And on the opposite end of the spectrum, I’d also like to touch on the Whitelabel API. So, you’ve made something awesome!! The real battle starts here. It’s not just about attracting customers; can’t we make your products themselves more marketable? Conclusion: How can we make ourselves useful to developers? We’re currently hard at work on the platform, and are aiming for a late June release. A mid-development peek at the marketplace screen. You can preview it yourself at https://market.readyship.co/products/, so take a look! Of course, my main motivation is that helping you attract more customers is the most helpful we can be to our developers. I want to make that our responsibility. Now, let’s think about this from a developer’s perspective. The real battle has only just begun. How will you approach branding? What’s your core message? Who is your target audience? How will you communicate what’s special about your product? …all to finally grab your first customer. On the current ReadyShip platform, developers had to take care of attracting customers themselves. That’s because when I looked at existing theme/plugin developers, they already had an existing brand and community. As a result, I focused on helping those developers transform their profit structure, while preserving their existing brand. Join our weekly newsletter with WordPress related topics! However, it soon became clear that this approach was less than ideal for people new to this field. Developers were still burdened with the difficult work of attracting customers. Even after joining us and creating their WordPress site, they had a major struggle ahead of them. We hadn’t changed that. That’s the reason for my decision. By completely overhauling ReadyShip, transforming it into a marketplace, we’ll take on the all-important task of attracting customers ourselves. That’s the best we can offer our developers. By transforming ReadyShip into a marketplace and working to help market your products, we can get you more customers. That much is obvious, right? But I don’t want to stop there. 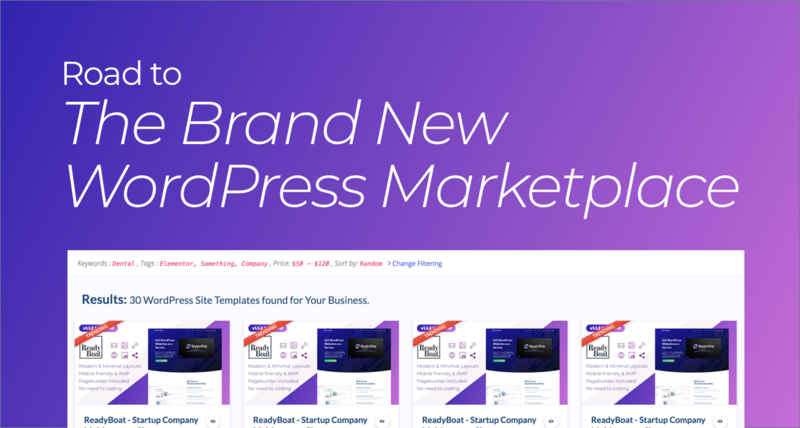 ReadyShip’s main feature is enabling users to immediately start using a completed WordPress site. I’ve come to realize that means it’s crucial to deliver a strong message regarding the value of our developers’ websites to our target users. That’s how we maximize their value to the user. Speed up your business. Wow your customers with a top-notch WordPress site. Make use of a ready-made WordPress solution. Reduce costs while delivering the results you need. Take advantage of WordPress best practices to deliver the optimum digital experience. This angle makes the purpose and value of your product clear. This is how we can maximize the value of your site. We want to encourage your customers to use your products for a long time. Under the ReadyShip model, developers will become more and more happy as customers continue to make long-term use of their products. You could sum it up as “marketing,” or more specifically, “branding”. It’s about ensuring every stage of the process goes swimmingly, from first meeting, to purchasing, to any further interactions. That’s where I realized there’s a lot we can do for you. We’ll do everything we can to ensure that your customers understand the full value of the products you worked so hard on. That’s why I’ve decided to turn ReadyShip into a marketplace. I believe that it’s simply the right thing to do, and I’m motivated to get it done. However, the market also contains an alternate set of needs. 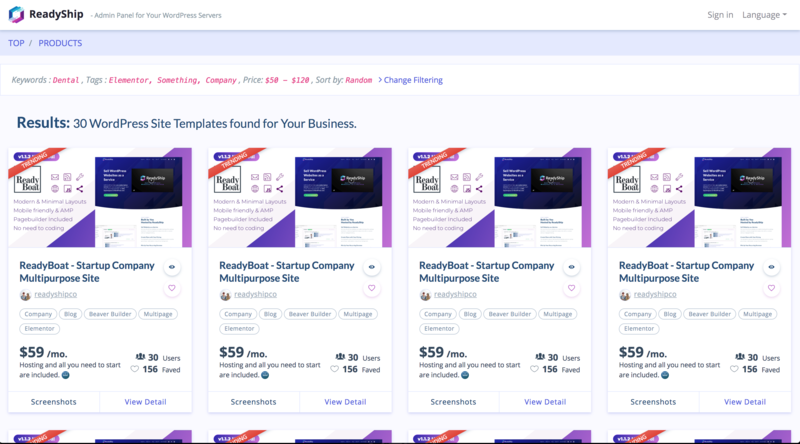 Some companies don’t want to show the ReadyShip logo to their customers, don’t want to appear on the marketplace, and want to keep customers entirely within their own branded space. This has been a very common request. Therefore, at the same time as we turn ReadyShip into a marketplace, we will begin offering the long-planned Whitelabel API, through which you can access all of our features. Nothing matters more to developers than attracting customers. We want to take responsibility for that job. We also want to do whatever we can to make sure customers value the products our developers work so hard on. Looking at the wider market and trends in the WordPress world, I believe that the ReadyShip approach to website building will continue to grow in future. At any rate, I’ll continue on my mission to build a more interesting world together with all of you. To digress for a moment, I consider it a negative that, up until this point, I haven’t made use of my own service. I’m therefore currently hard at work on my own WordPress site, and preparing to sell it using the ReadyShip framework. I’m creating my own case study, essentially. I’ll reveal the entire process in a future blog post. Indeed, there is a growing demand for turnkey / ready-made digital assets (websites, apps, digital marketing funnels). With the huge success of platforms like; shopify & squarespace, I think it’s obvious that most business owners, and budding entrepreneurs, now recognize the importance and profit potential of a quality digital brand. Most of these people do not have the knowledge and resources needed to build these, so they’ll rather get themselves a ready-made digital brand that they can use to communicate their vision to the world. Unlike Shopify and Squarespace, an open source platform like WordPress provides almost limitless scalability. Definitely looking to be a part of this and excited to see how the ReadShip project progresses. 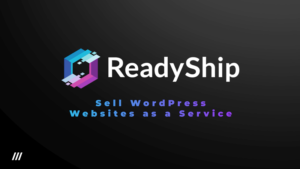 Increase your WordPress business revenue with ReadyShip!